The ‘bike week’ in Las Vegas hosts the world’s largest motorcycle auctions, with a total of 1850-odd vintage machines on sale this year. 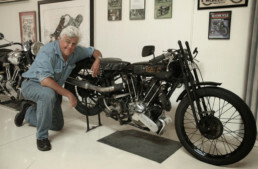 With two sales during the week, hosted by Mecum Auctions and Bonhams Auctions [full disclosure – both supporters of TheVintagent.com], the variety of motorcycles available makes this literally a ‘something for everyone’ event. 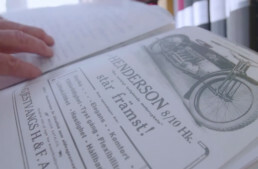 All price ranges, all types, makes, configurations, ages, and countries of origin were present, from a replica 1894 Hildebrand&Wolfmuller, the world’s first production motorcycle, to sport bikes from 2016, with literally everything barring steam motorcycles represented on the auction block. Many come to buy, many come to sell, but all come to enjoy seeing that many old motorcycles in one place, as the auctions are by default also the largest vintage motorcycle display in the world. It’s a museum where everything is for sale, although you never know what any machine will fetch once the hammer falls. Bargain or world record? It’s impossible to tell beforehand. 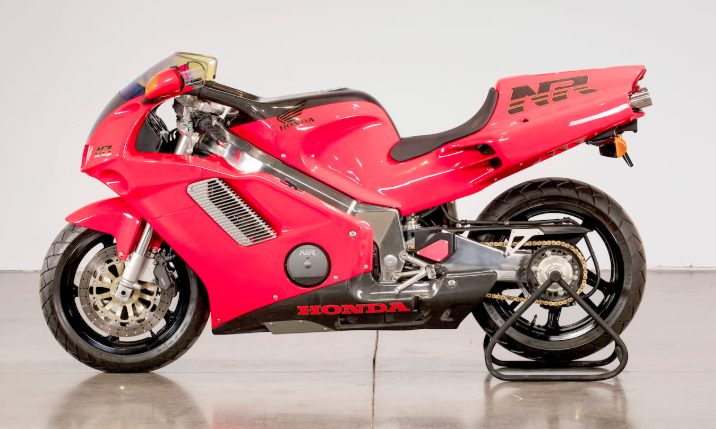 With this a huge sampling of verifiable prices, the Las Vegas auctions are also a snapshot for the vintage motorcycle market. Prices this year were decidedly mixed, and totally unpredictable, which may reflect domestic politics more than the economy! Take it how you will: either the price of a Crocker V-twin has shot up wildly, or remains at a 5-years status quo, as two similar machines sold, for $705,000 and $423,500, one day apart at the Mecum sale. Was there enough difference between the two machines to justify the $282,000 price difference? 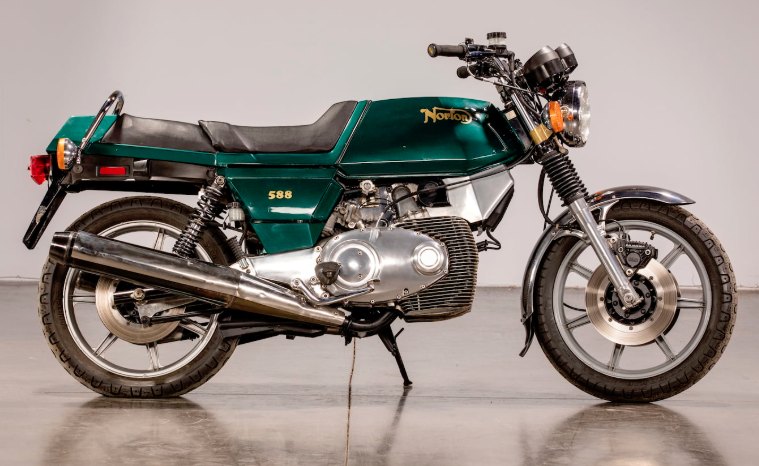 Both were restored, both looked tremendously appealing, but the top price came from the MC Collection of Sweden, who provided excellent documentation for this machine, and all their 240+ bikes sold at Mecum. 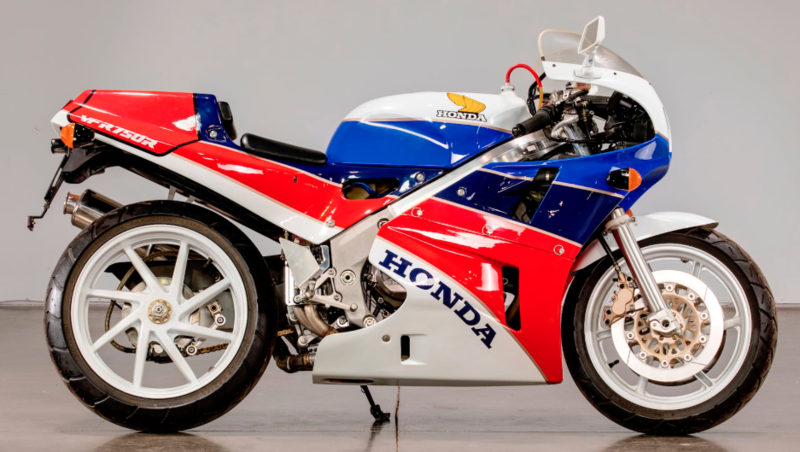 Records for particular models were certainly set: a pair of new-in-crate Honda Z50 ‘monkey bikes’ brought an astonishing $51,150. These were dealer-only ‘Christmas Special’ models, gifts from the Honda factory to their best-selling dealers, and had an all-chrome finish. Twenty other Honda Z50s of various vintages were sold at Mecum’s South Point Hotel venue, with an average price of $5500, although one other Christmas Special sold for $13,200, which bends my mind, but says a lot about collectors in general: it doesn’t matter what it is, if people want it, they’ll pay what they need to get it. The takeaway: most of these are for post-1980 bikes. 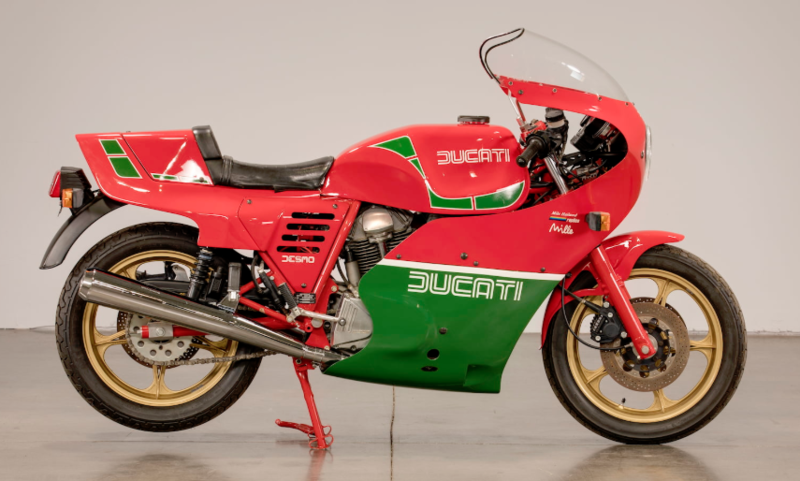 That’s the hottest part of the motorcycle marketplace now, with recognition (in the form of money) going to the best motorcycles of the 1980s. 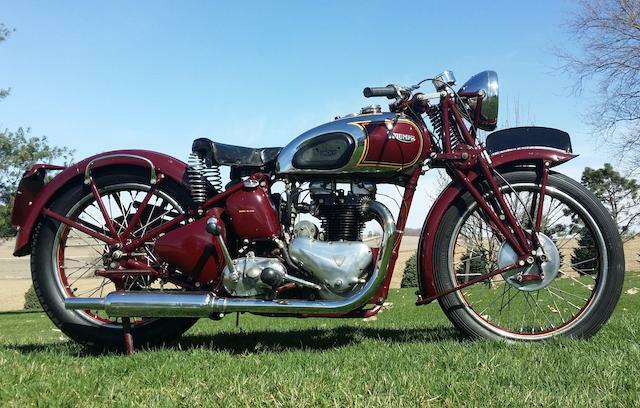 Generally, bikes from the 1920s/30s/40s held their value (barring the ’25 SS100 at $357,500, about $100k off the expected price), while those of the 1950s/60s slipped on the whole. In a unique scenario this year, 240-odd machines from the MC Collection in Sweden were sold in one day (Friday Jan. 5th at Mecum): the 50-year collection of outstanding machines from Christer Christensen. 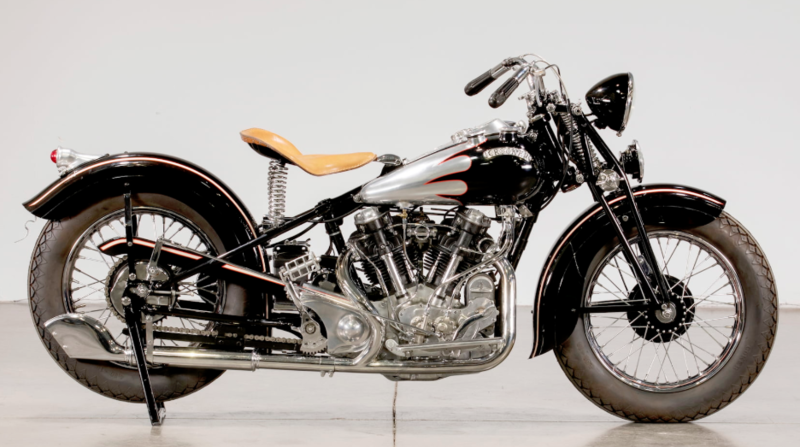 Prices varied greatly, from bargains to world records (for a 1938 Crocker ‘Big Tank’ at $705k), but on the aggregate, prices were above average, and at the end of the day Friday his collection (minus 7 machines sold Saturday), fetched over $9.5 Million…which used to be the total for the entire ‘bike week’ in Las Vegas. But there was still another 1500+ machines to sell! Those ‘other’ bikes boosted the Mecum total to a staggering $26Million, which is an 87% increase over last year. 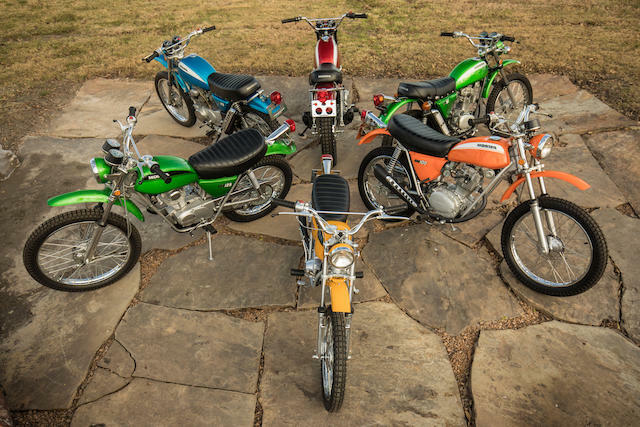 With a 92% sale rate, the 2019 Mecum sale will be remembered as the largest and most successful motorcycle sale in history. 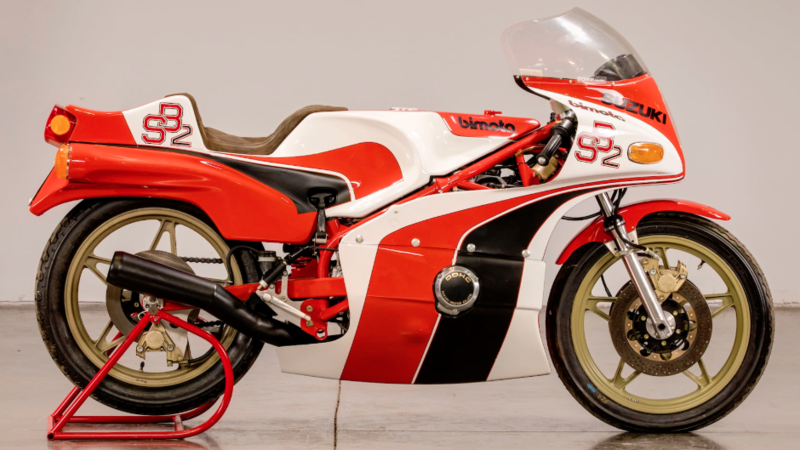 The venerable Bonhams Auctions sale at the Rio Hotel featured a manageable 120 motorcycles on Thursday afternoon, with a sell-through rate of just under 80%, and prices generally at or below the expected averages. 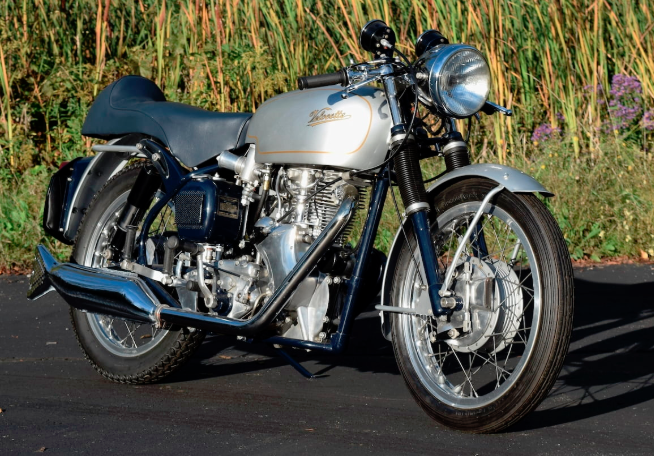 One bright spot was Steve McQueen’s 1938 Triumph Speed Twin, which fetched $175,000: a 4X factor courtesy the King of Cool. No other McQueen bike in Las Vegas at either auction house, though, had that kind of Steve multiplier, so there’s nothing to be learned here. 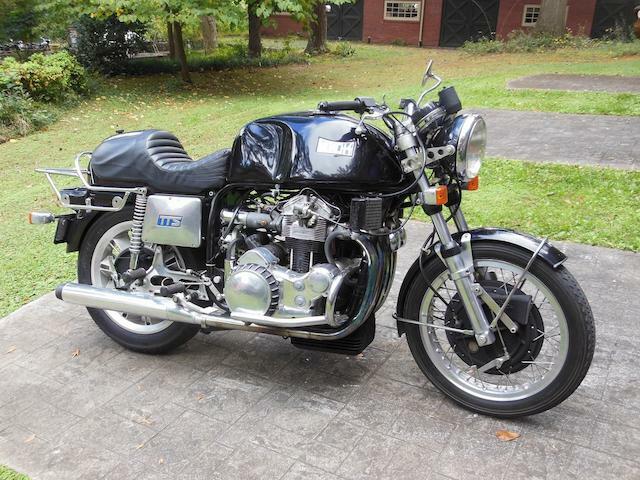 A surprising number of no-sales at Bonhams for restored 1960s Triumph twins may reflect their seller’s unrealistic expectations – prices at both auctions were well down on mass-produced British twins compared to 2016, and we rarely see $16k+ prices for these bikes anymore. 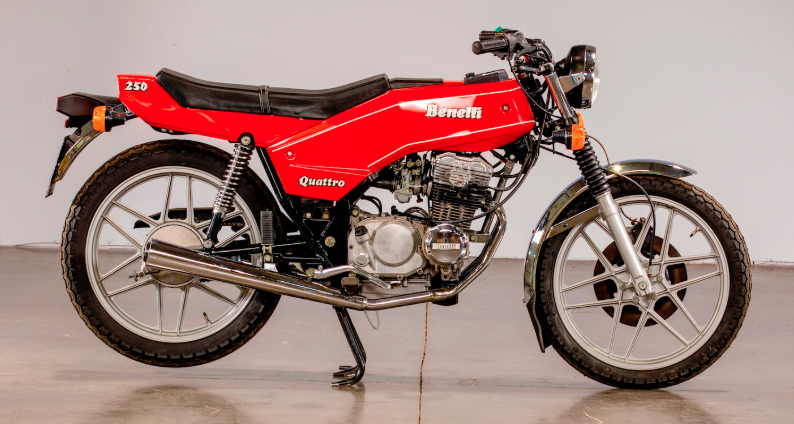 Managing the expectations of motorcycle owners is perhaps the most difficult job of an auction house, as people remember the very top prices for special machines or reached in one-off auction fights, but fail to realize their machine is not in the same situation, even if apparently identical! 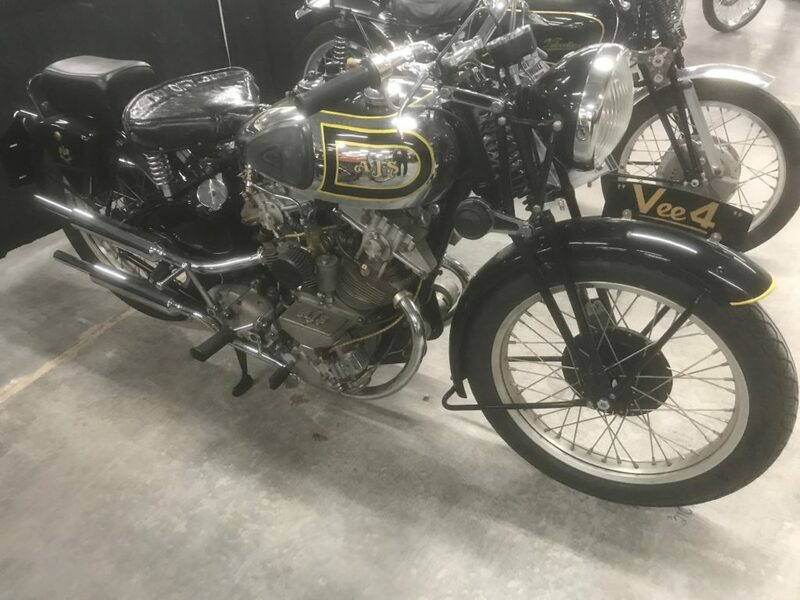 While British parallel twins prices continue to weaken, it’s the Vincent Black Shadow that’s the auction-world weather balloon…or the canary in the coal mine, depending on whether you’re buying or selling. VBS prices have been a rollercoaster indicator of global economic health for the past 3 decades, swinging between $25k and $150k and back again several times over now. 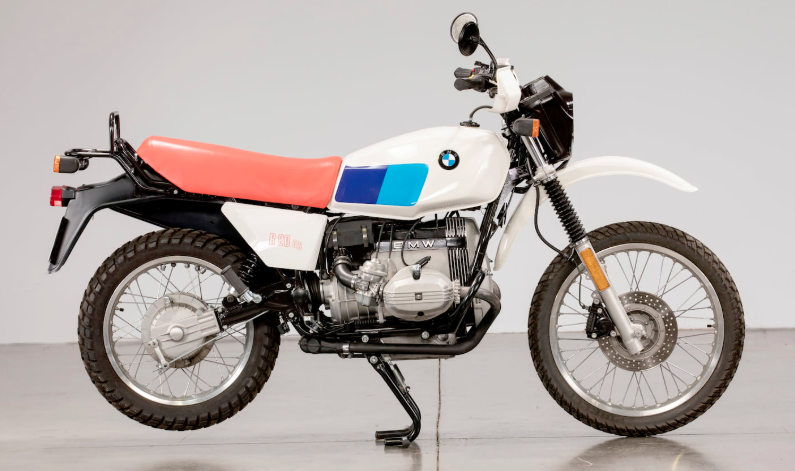 They’re the go-to bike for first-time collectors, a box to tick on every must-have list, but such checkbook buyers vanish in bad times. Restored Black Shadows reached a high average of around $140k two years ago, but today have sunk back to $85k, which is in line with prices within the Vincent Owner’s Club, according to my sources. A 1951 Vincent Black Lightning failed to sell at Bonhams after bidding peaked at $320k, which is a mystery, as last year a similar Lightning – both with long, documented histories – set a world record at $950k. Three more Lightnings sold privately in 2018 – two at around $350k, plus an amazing Craigslist discovery at $20k. Yep; keep your eyes peeled, there’s still treasure to be found! Yaar! Watched the NBCSN broadcast of the auction and loved every minute of it. Paul, you did a fantastic job discussing even the most obscure brands. I am going to get my Francis-Barnett and OK tattoos! Definitely OK Supreme – the nicest graphic in the industry! Definitely seeing a generational shift. Japanese bikes set records across the spectrum while the older Brit stuff is flat to declining. Also some quite strong 70’s offroad action. This all points to kids of the 60’s and 70’s and the bikes they had or lusted after. Great job in Vegas Paul. The other Mecum guys are getting better but can’t hold a candle to your commentary. 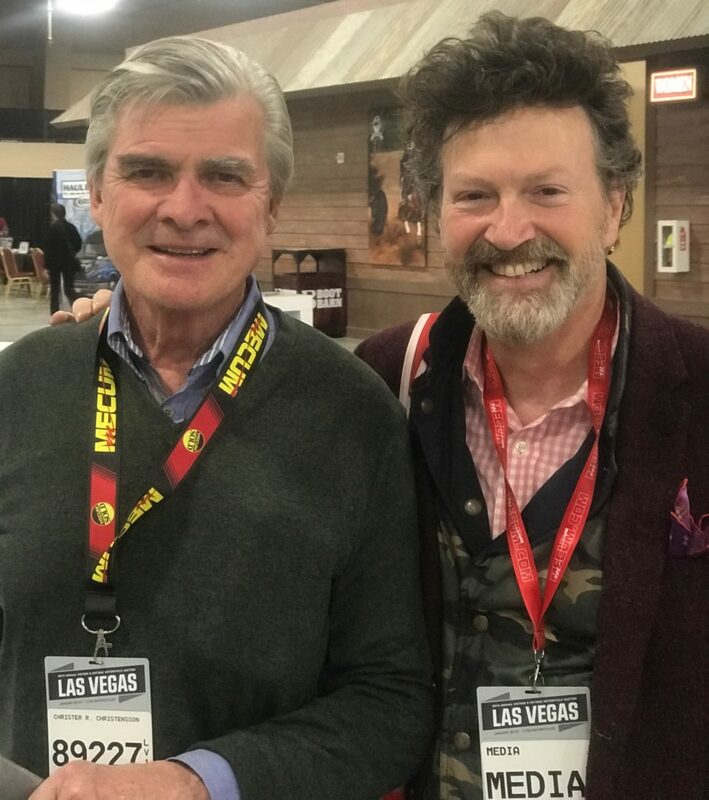 Please do the roving interviews and comments during the Quail show again. Paul, you may want to correct the caption underneath the colorful little Hondas–they’re all SL models, not CLs. Big difference! Absolutely correct! Thanks for the heads up Lindsay! Everyone wants at least one Thruxton! How many Commandos, Bonnevilles, and Lightnings does one need. Scarcity may have pushed the Velo over the edge of sane money. The good news? Ride those Bonnies and Commandos hard and fast, the way they are supposed to be ridden. That’s what they’re good for! It is amazing how many these Dreambikes makes money……I would have to sell a Excelsior Big X from 1918 with Sidecar…….what the American would pay for…🤔?